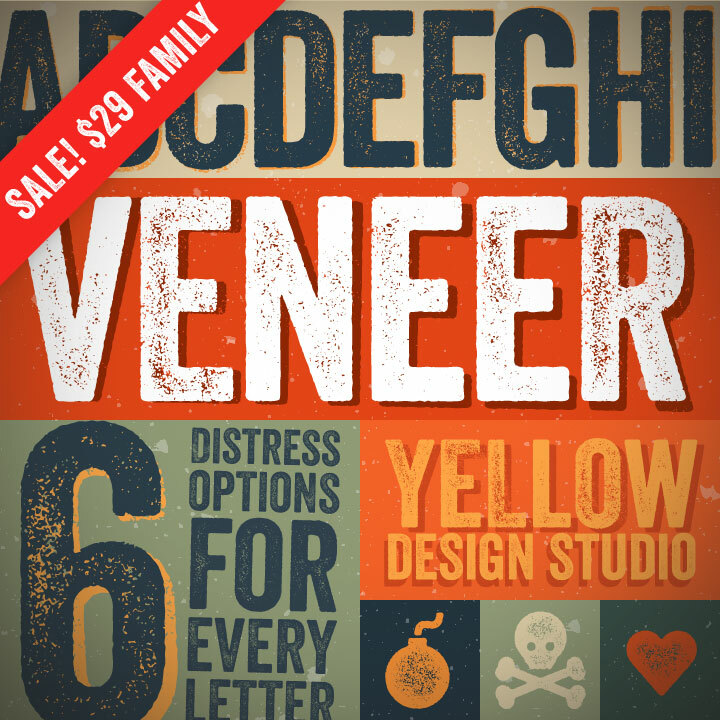 Veneer from Yellow Design Studio is a high resolution hand-crafted letterpress font that’s vintage, authentic and grungy. It’s highly customizable with six distress options for every letter and three for all other characters, and because it’s remarkably detailed, it looks great even at very large sizes. In addition Veneer includes a matching set of funky dingbats... for FREE! 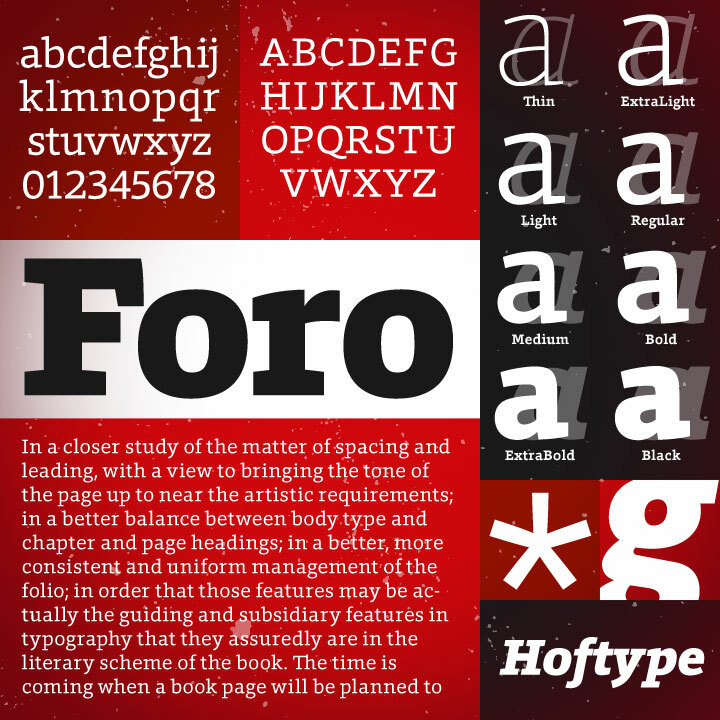 Foro is a classic slab serif with warm and appealing flow. It is modeled on humanistic shapes and proportions and is therefore much less harsh than other recent slab serifs. It was a definite winner in our new releases this year. 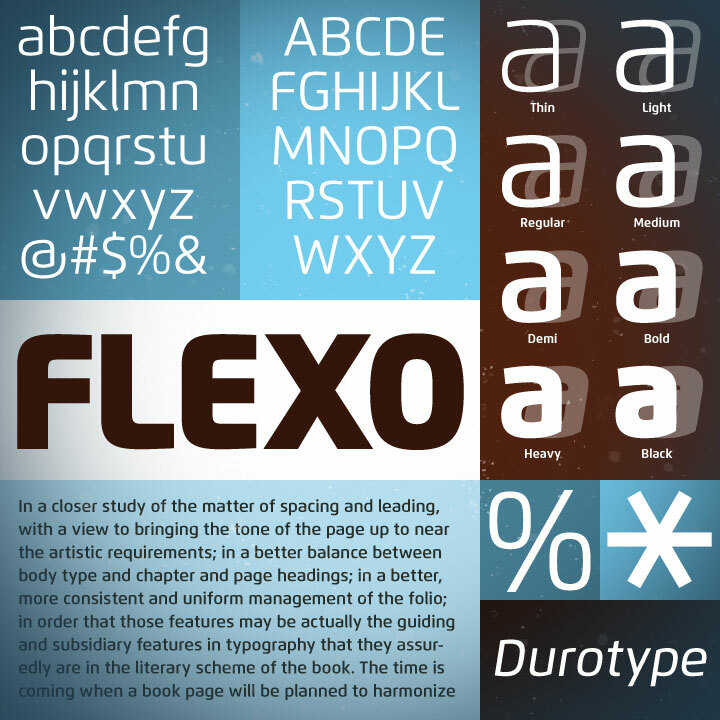 Flexo is a synthesis of geometric and humanistic forms. It has both mathematical straightforwardness, and organic refinement making it stand out in many uses. 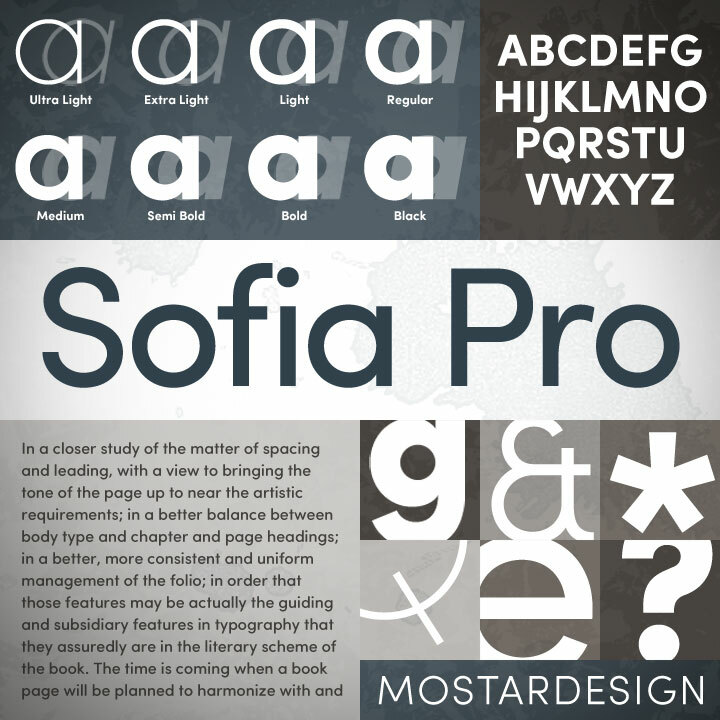 Sofia Pro is a complete redesign of the Sofia family initially designed in 2008. It is a workhorse geometric sans with subtle nuance and a significant variety of weights. Be sure to check out the recently released Sofia Pro Condensed family as well. 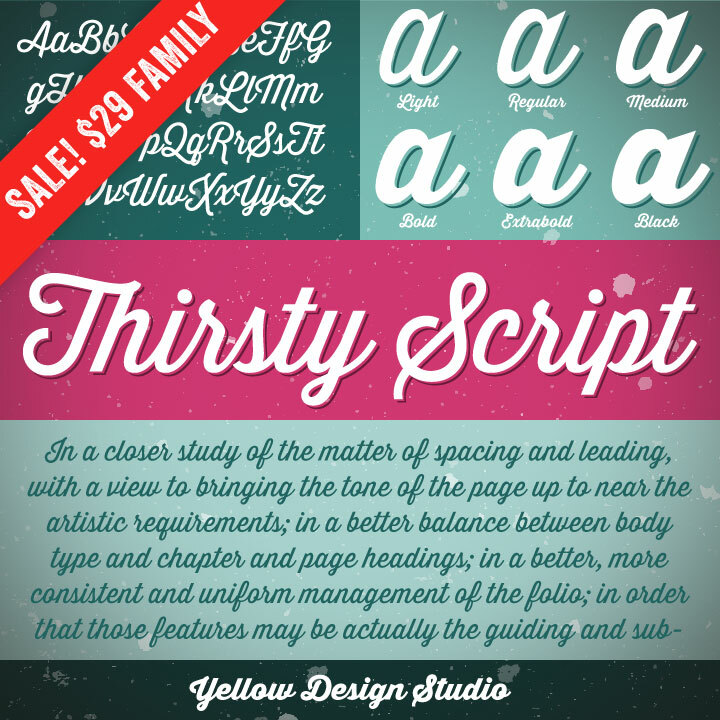 Thirsty Script from Yellow Design Studio is a script typeface with a ‘new meets vintage’ vibe. It is friendly but with an edge...a mashup of retro script, modern sans, and a shot of caffeine. 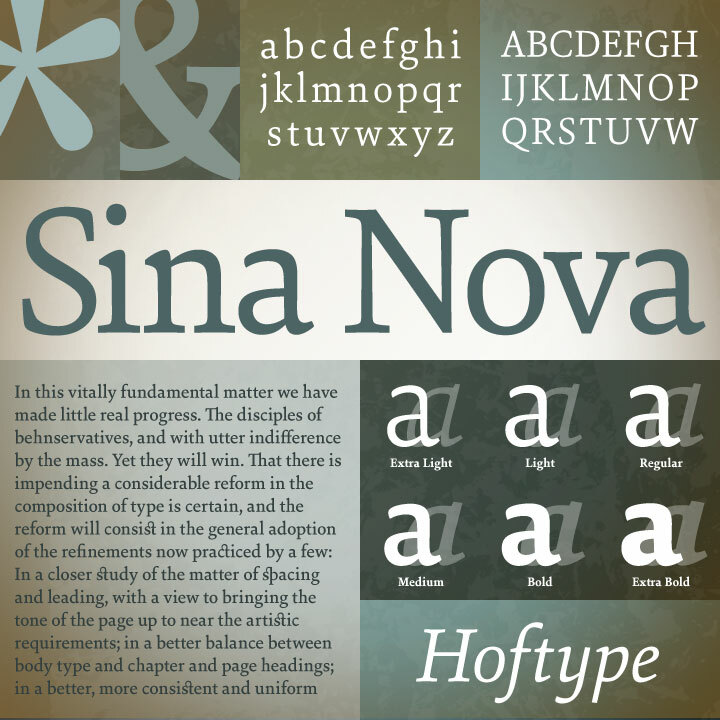 Sina Nova is a robust but assertively warm family, recalling and referencing early classical printing types while presenting a distinctly contemporary look. It is great for headlines and in larger styles but with its even flow makes it ideally suited for long texts. An extended, finely tuned range of weights renders it suitable for many applications. 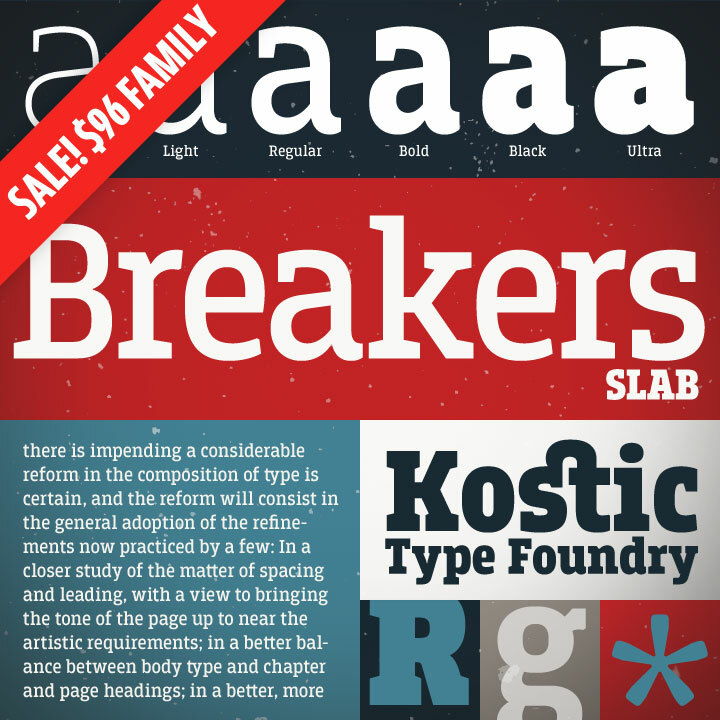 Breakers Slab from Kostic is a beautifully drawn condensed slab serif based on the popular Breaker Sans.